It is widely recognized that our physical fitness is reflected in our mental fitness, especially as we get older. How does being physically fit affect our aging brains? Neuroimaging studies, in which the activity of different parts of the brain can be visualised, have provided some clues. Until now, however, no study has directly linked brain activation with both mental and physical performance. As reported in the latest volume of the journal NeuroImage, an exciting new study led by Dr Hideaki Soya from the University of Tsukuba in Japan and his colleagues show, for the first time, the direct relationship between brain activity, brain function and physical fitness in a group of older Japanese men. They found that the fitter men performed better mentally than the less fit men, by using parts of their brains in the same way as in their youth. Source: University of Tsukuba. “Active body, active mind: The secret to a younger brain may lie in exercising your body.” ScienceDaily. Your mission is to trace a single path from the top left corner to the bottom right corner of the grid. Travel through all of the cells in either a horizontal, vertical or diagonal direction. Every cell must be entered only once. Your path should take you through the numbers in the sequence 1-2-3-4-5-6-1-2-3-4-5-6, and so on. Click below to find the correct path. Click to view the correct answer (Member). 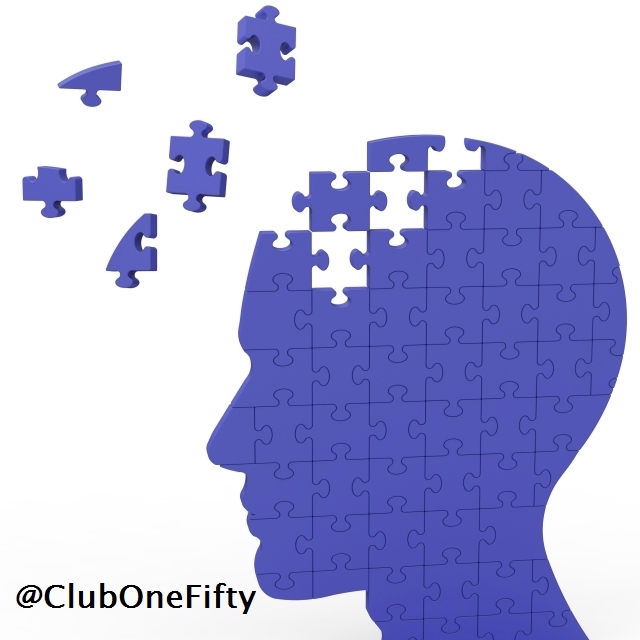 Want to become a member of Club One Fifty? Start your free membership by providing your contact details. The ability of the circulatory and respiratory systems to supply oxygen to skeletal muscles during sustained physical activity is known as cardiorespiratory fitness. Scott Hayes, from Boston University School of Medicine (Massachusetts, USA), and colleagues assessed a group of adults ages 18-31 years, and a group aged 55-82 years. 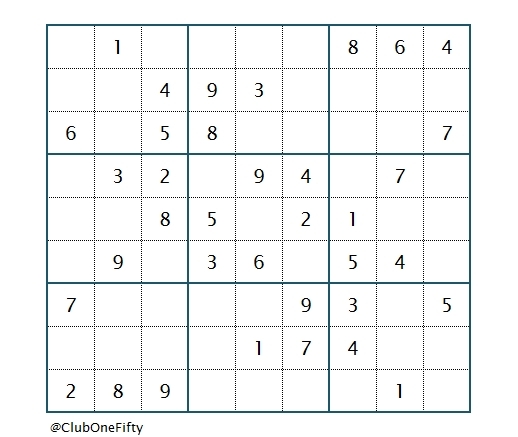 Your mission is to fill every square in the diagram below with a different number from 1 to 9 inclusive. 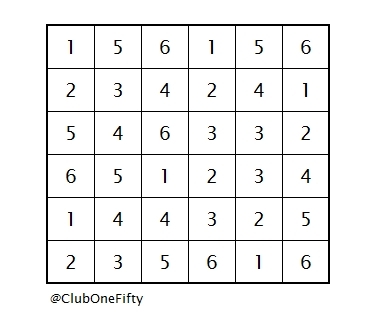 The numbers 1 to 9 should only occur once on every row and in every column. 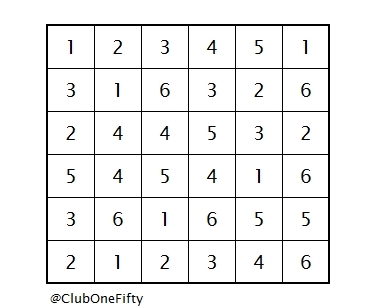 Also, the numbers should only be found once in every one of the nine smaller nine-square squares. Obvious, right!? Click the link below to view the correct numbers. Click to view the correct answers (Member). 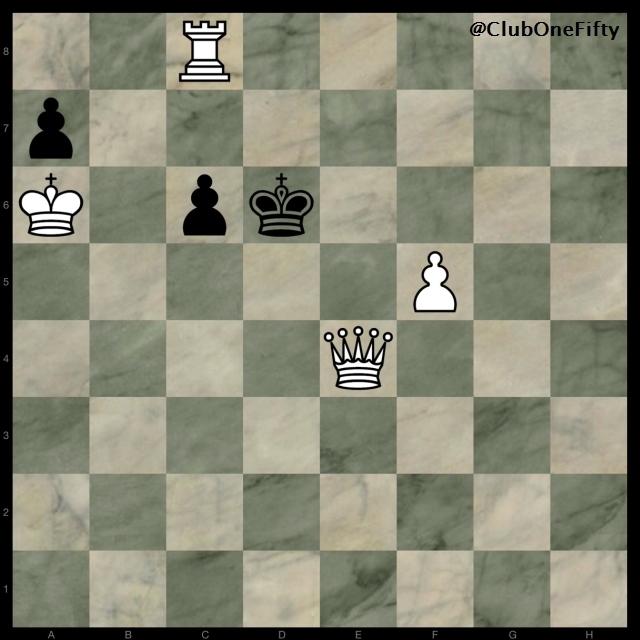 Your mission is to checkmate the black opponent in two moves. 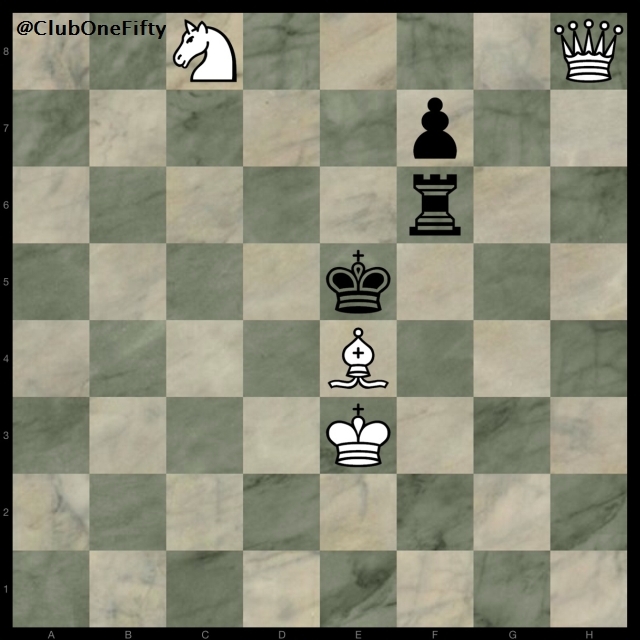 Click the link below to double-check your moves. Click to double-check your moves (Member). Your mission is to determine how many baskets that contained a mango, by doing some elimination. 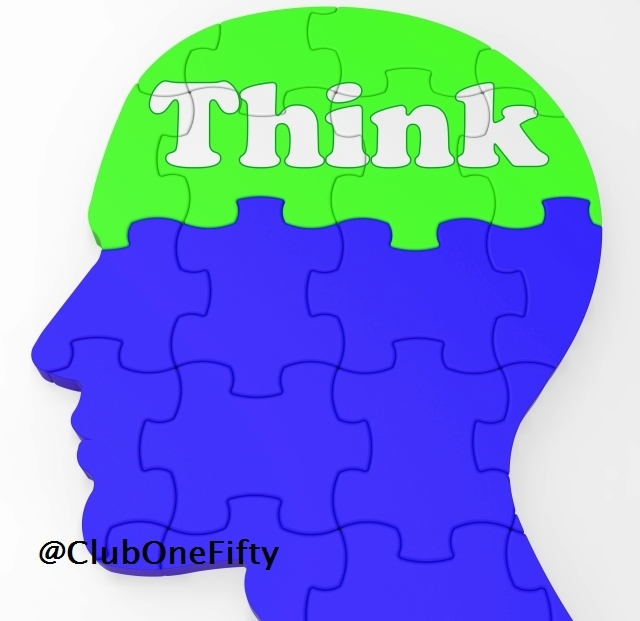 Try solving the problem first with only your brain – no use of pen and paper, or other aid. Eighteen baskets of fruit were laid out for sale in a shop and each bore a unique number, 1 to 18 inclusive. All of the odd-numbered baskets held apples and no pears – and all of the even-numbered baskets held pears and no apples. Any basket with a number lower than 9 held strawberries but no cherries – and any basket numbered 9 or higher held cherries but no strawberries. Any basket numbered 13 or lower held bananas but no apricots – and any basket numbered 14 or higher held apricots but no bananas. A pineapple was placed into those baskets with both pears and bananas, as well as those baskets with both cherries and bananas, plus those with both apples and apricots – and a mango was placed into all of the remaining baskets. How many baskets contained a mango? 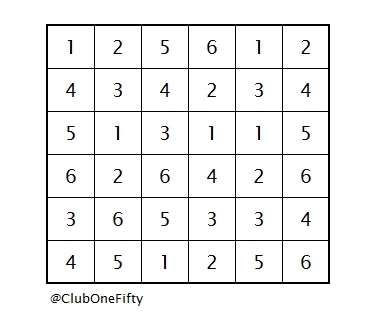 Your mission is to fill every square in the diagram below with a different letter of the alphabet from A to K inclusive. 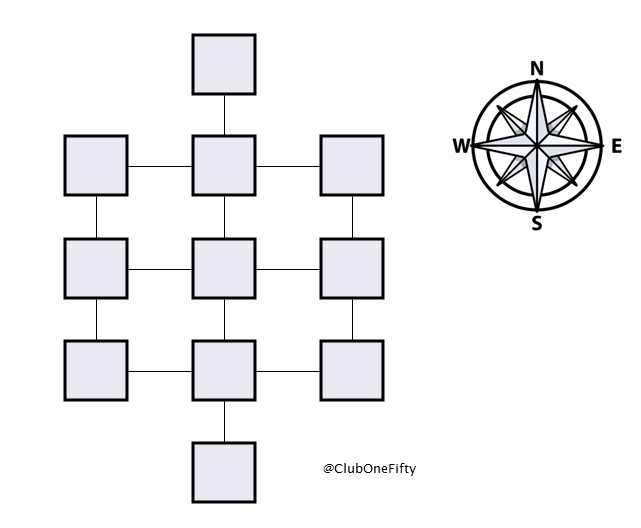 Use the clues to determine their locations. Reference in the clues to ‘due’ means in any location along the same vertical or horizontal line. Click the link below to view the correct positions. K is due south of C, which is due east of F, which is next to J. D is next to and east of G, which is due north of (but not next to) I. A is next to and west of F, which is due north of H.
G is due east of E, which is due north of B.